Modern men too often see things only by the guttering firelight of politics. Pope Benedict, who wrote many works of deep scholarship while simple Joseph Ratzinger, also served as the head of the Vatican's Congregation for the Doctrine of the Faith, earning him a reputation among the ignorant as combative—"God's Rottweiler." 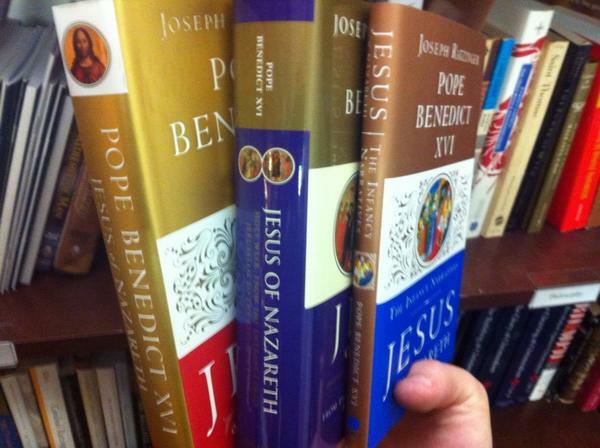 It may surprise some, then, to read that Pope Benedict has written about one topic all his life long. Love is the key to his work, as it is the theme and lesson of this work. Indeed, the Pope has written that in Jesus, the man and the mission are one, and the mission is the holiness of love—of being entirely for and with God, and for and with mankind, without reserve. Now Benedict shows how this understanding of Jesus is manifest from the beginning, in his conception, his birth and his childhood. Any scholar who would write on the first few chapters of Matthew and Luke faces two problems. The first is the opinion that the narratives about the birth of Jesus are add-ons, not central to the mission and the person of Jesus. The second is that we are too familiar with them. We have heard the carols and seen the crèches. We do not see the shadow of the cross fall upon the stable at Bethlehem. 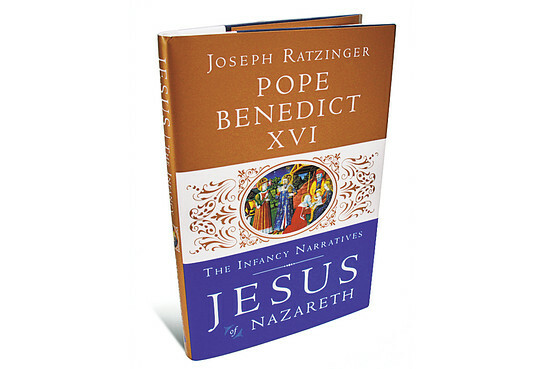 Benedict addresses both problems at once, affirming the historicity of the narratives and showing that the question of who Jesus is hinges upon the question of whence he has come. People who encountered Jesus, whether they chose to follow him or not, claimed that they knew exactly where he came from, the no-account village of Nazareth. Yet they did not know where he came from—whence he derived his authority. 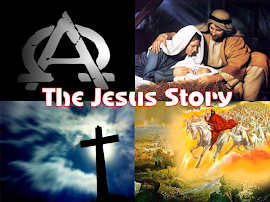 The early Christians, by contrast, saw the life of Jesus as a coherent whole. The end of Matthew's Gospel, says Benedict, when Jesus commissions his disciples to go forth to the ends of the earth, baptizing all nations, is present in the beginning, in the genealogy that links Jesus with Abraham and God's promise of universality. Abraham is the essential wayfarer, Benedict writes, whose "whole life points forward," a dynamic of "walking along the path of what is to come." Even to those who think themselves familiar with these texts, every page of "Jesus of Nazareth" will present some pearl of great value, something that should have been obvious but that has been passed over in haste or inattention. For example, when Luke places Jesus' birth in the context of the Augustan empire, and notes that Joseph and Mary had to travel to Bethlehem to register for the tax, he expects his readers, Benedict argues, to compare one "prince of peace" with another, for that is what Augustus styled himself ("Princeps Pacis"). The epithet was more than propaganda, Benedict says. It expressed a heartfelt longing in the people of the time, racked by the Roman civil wars and conflicts between the Roman empire and her rivals to the east. We might see how seriously it was taken if we study Augustus's Altar of Peace in Rome, consecrated a few years before Jesus' birth. It was so placed that on the emperor's birthday, between morning and evening, the sun cast the shadow of an obelisk, says the Pope, along a line that struck the very center of the altar, where Augustus himself was portrayed as supreme pontiff. But Augustus belongs to the past, Benedict notes, while Jesus "is the present and the future." That is because the salvation we yearn for is not simply a truce, with some economic prosperity, but the healing of our very selves. Man is "a relational being," Benedict writes, by which he means that we only know ourselves when we give ourselves away in love. More to the point, Benedict teaches, God allows us to know Him by giving Himself in love to us. This gift, though grand, is necessarily also secret and humble, seeking not to overmaster but to invite. In speaking of an intimate love, all the Gospel writers speak the same language, Benedict explains, whether it is Matthew showing that the birth of Jesus occurs outside of and against the predilections of the grand court of Herod, or Luke stressing the quiet interior life of Mary, or John saying that God has pitched his tent among us, submitting to the infirmities of the flesh, and to rejection. This love is no mere sentiment. It is the ground of our being. Yet Benedict points to the gospels themselves for examples of how often we seek less than love, even while we believe we are seeking more. Jesus' own disciples believed that he would reestablish the earthly kingdom of David—and Matthew takes trouble both to establish Jesus' descent from David (it is why Joseph had to travel to the city of David, Bethlehem) and to show that this kingship is wholly new, and not of this earth. 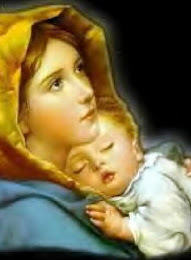 Thus Joseph is told that the child's name will be called Jesus, a name derived from the Hebrew word meaning "to rescue," because "he will save people from their sins." That seems at once too little and too much, Benedict says. He compares the verse with the episode of the paralytic in Luke, who hears Jesus say, "Your sins are forgiven." But he wanted to walk—and the Jews wanted freedom from their overlords. The paralytic would indeed rise up and walk, but the point is clear: The gospel calls people to no less than complete love of God and neighbor—to the surrender of illusions that we can heal ourselves. 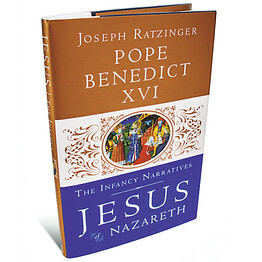 "The Infancy Narratives" is a short volume but for that very reason may be an ideal introduction to Benedict's writings, and for that matter Jesus' message of love. Mr. Esolen, a professor at Providence College, is the author of "Ten Ways to Destroy the Imagination of Your Child."